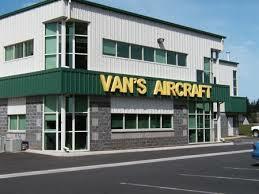 There are several ways to contact Van’s Aircraft. To help us provide the best service, we try to include as much information on this web site as possible. If after checking this site your question is still not answered, please contact us via one of the methods below. Get directions to the Van’s Aircraft factory. When calling, we ask that you please have your questions thought-out and any applicable plans-page numbers prepared and available. This will help us support as many people as possible and will help keep your phone bill at a minimum! Monday thru Friday, 7:30 AM – 4:00 PM Pacific Time, except scheduled holidays.